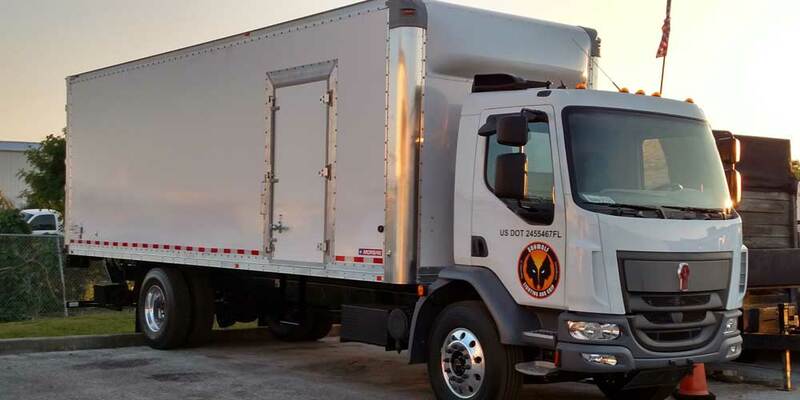 Sunwolf provides Florida Grip Truck Rental packages for your next production. We offer Grip Trucks for small and very large shoots. 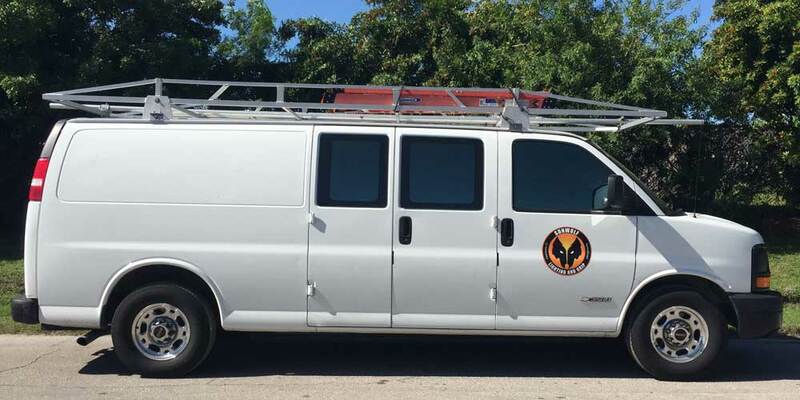 All of our Grip Truck Packages are fully customizable, and each package is equipment with a full compliment of Grip equipment. Each package contains custom fabricated aluminum carts, they fit through standard doors and can be easily moved by one person. 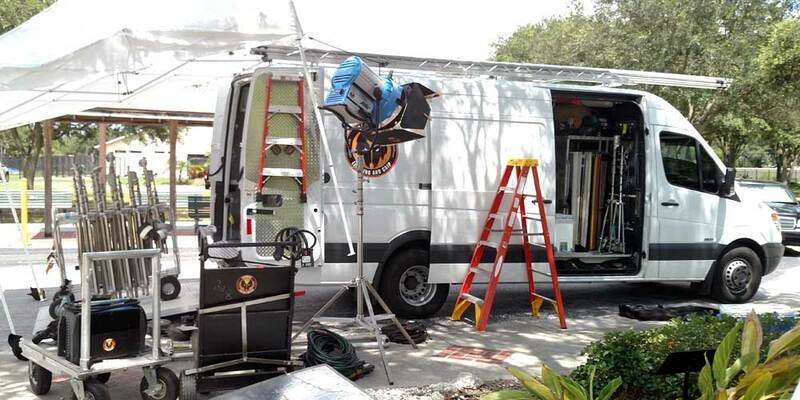 This Van Package is designed for smaller shoots, usually consists of a 1 or 2 man crew. Our new 2 Ton Van Package is great for small to medium shoots. It has plenty of space and a rear lift gate. Our 3 Ton Grip Truck Package comes fully equipped with everything you would expect. Sunwolf carries a full complement of grip and rigging equipment on this package. You can customize this Package for your production, this truck is outfitted with custom fabricated carts and a great layout. 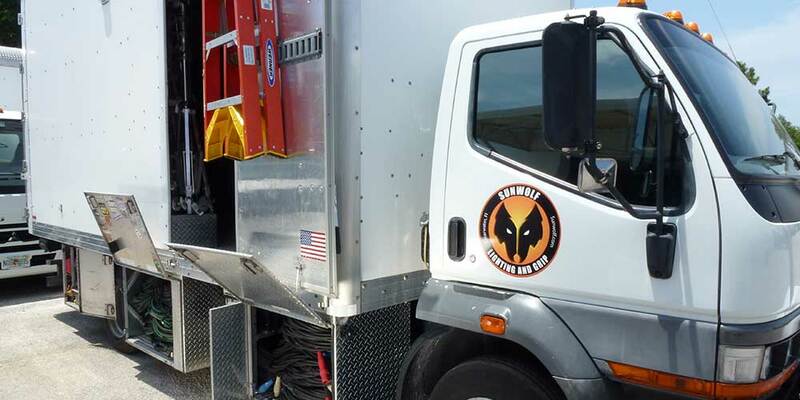 Our 5 Ton Grip Truck Package comes fully equipped with everything you would expect. This Truck Package is for Larger shoots and additional items can be easily added. Sunwolf carries a full complement of grip and rigging equipment on this package. You can customize this Package for your production, this truck is outfitted with custom fabricated carts and a great layout. 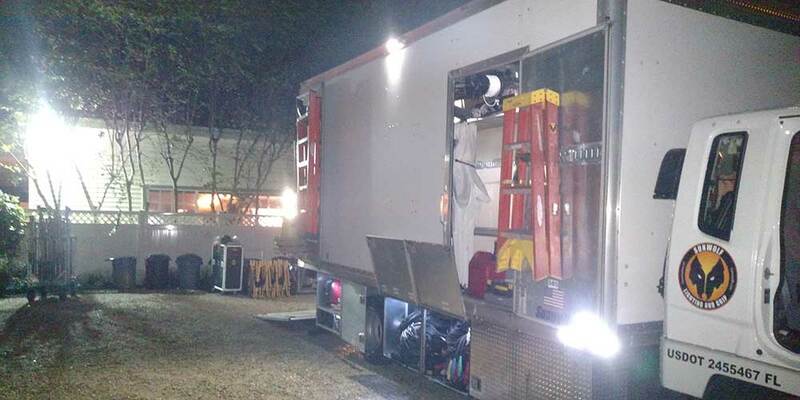 We are in the process of outfitting our newest 7 Ton Grip Truck Package, it will be in our Fleet soon. Sunwolf’s custom Jockey Boxes are designed with the end user in mind. We make it easy for our crews to work out our Trucks, which means less down time.